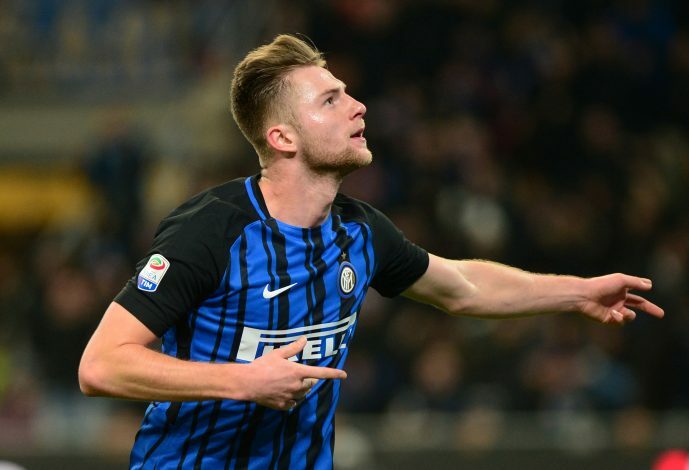 Inter Milan defender Milan Skriniar has been attracting tremendous interest from all across the continent through his impressive performances this season. The youngster dropped a stand-out display when his side faced Barcelona in the Champions League at the start of the month, for which he was singled out by Inter manager, Luciano Spalletti. Several sources have linked the 23-year-old with three of the biggest clubs in the world, as Barcelona, Real Madrid, and Manchester United are all said to be eager to secure his services. Barca are reportedly looking to sign Ajax defender Matthijs de Ligt, with Skriniar identified as an alternative if their primary pursuit ends in failure. Real Madrid, on the other hand, wish to strengthen their already strong central defensive area by bringing in the Slovakian international to compete with the likes of Sergio Ramos and Raphael Varane. Lastly, Manchester United have been experiencing major defensive issues of their own, and Jose Mourinho has identified Skriniar as the ideal candidate to solve the Red Devils’ woes at the back. However, if any of these juggernauts wish to sign the in-demand centre-back, they will have to cough up a fee north of €100 million, the Inter boss has declared. What do you make of the youngster’s valuation?